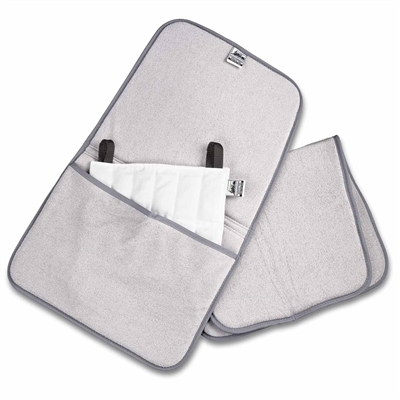 Foam Filled Terry Covers are designed for use with Chattanooga's popular Hydrocollator HotPac covers. Standard is 17” x 27” (43 cm x 69 cm). For home or light clinical use. Dickson 22 lb Institutional Paraffin Bath - Mobile T-6-S Thermalator 6 Pack Zimmer Soleo Stim - Muscle Stimulation Unit Whitehall Thermal Hot Pack - Cervical Size 24"